Gift card are awesome promotional tools. When a customer buys a gift card, they’re effectively promoting your company – whether they purchase it for themselves, or for a gift recipient. It’s been well-documented that gift cards are a great way for retailers to increase sales, and to drive consumer engagement. In fact, many stores are turning to reloadable gift cards and loyalty programs that integrate gift cards – programs like Starbucks Rewards – as ways to further foster brand loyalty. And while it’s a great goal for these companies to use gift cards as a way to grow their businesses, it’s important that they never lose track of the most important person in the “gift card equation” – the customer. Gift cards alone aren’t enough to promote brand engagement and loyalty. A great gift card and reward program must be backed up by inventive promotions, great service, and a dedication to a wonderful customer experience. Without these things, even the best gift card program is destined to fail. So, to help companies think outside the box when it comes to unique, publicity-grabbing gift card promotions, we’ve found two recent news stories about gift cards that are perfect examples of smart service and great brand promotion through gift cards. We’ll discuss each story and what they could mean for retail businesses who are looking to boost brand engagement, and discover valuable insights about gift card promotion that can be implemented in just about any company. Our first news story comes to us not from America, but from New South Wales, Australia. According to Choice, Australian father Peter McCarthy was keeping himself busy, cleaning out his adult daughter’s room for the first time since she had moved out of their home nearly 7 years ago. His daughter had been married for over 5 years, so he decided that it was time to finally give her space, a thorough cleaning and renovation. And as Mr. McCarthy continued to clean his daughter’s room, he came across something unexpected – two $20-value “Geoffrey Dollar” gift cards. The age of these gift cards was presumed to be over 20 years – although they had neither an issue date, nor an expiry date assigned to them. Mr. McCarthy was surprised – but then had an idea. Why not get in touch with Toys “R” Us, and see if they would honor the two-decade old cards? It seemed like a crazy idea. In today’s world, there is more gift card waste than ever – though in countries like the US, it’s been curtailed somewhat by consumer regulations like the Credit CARD Act of 2009, which sets strict regulations about expiration dates and inactivity fees. Still, it’s estimated that nearly $1 billion in gift card balances go unused each year. In addition, Australia has far less robust consumer protections, and around 60% of Aussies cite premature expiration dates as a reason for being wary of buying gift cards. So, when Mr. McCarthy got on the horn with Toys “R” Us customer service, he certainly wasn’t doing so in expectation of having his gift cards honored. However, he decided that it was worth a shot – on the outside chance that the company would honor these long-expired gift cards. So he sent an email to Toys “R” Us customer service – not expecting a reply. However, within a few days, he got an email stating that Toys “R” Us would be willing to exchange the two expired vouchers for a new, $40 gift credit voucher. After Mr. McCarthy sent off the cards, he got another email – his new gift card was in the mail. Just as with the Geoffrey Dollars before it, this new gift voucher has no expiration date. And what does Mr. McCarthy plan to use it for? According to the man himself, via Choice, his five year-old grandson has a birthday in October, and the gift vouchers will be used to buy him a present. What was once destined to be a gift for Mr. McCarthy’s daughter has become a gift for his grandson – a truly heartwarming story. But this story isn’t just heartwarming – it also can provide valuable insights for retailers. Here are just a few takeaways that retail establishments building gift card programs can learn from this story. Great Customer Service Builds Loyalty For Life – Mr. McCarthy’s story is emblematic – it shows the true value of great customer service, especially when it comes to gift cards. It can be tempting for customer service representatives – and their managers – to be very strict when it comes to dealing with customer issues like Mr. McCarthy’s. 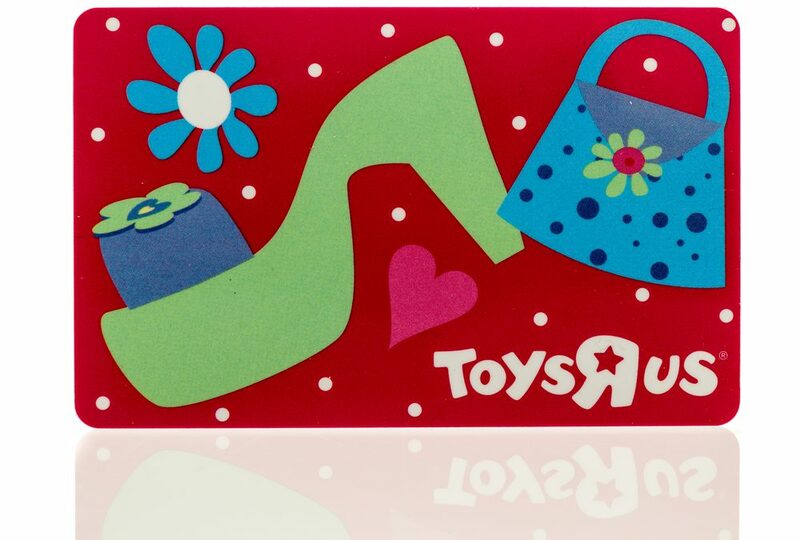 After all, Toys “R” Us was under no obligation to redeem the expired gift cards for spendable credit. It would have been just as easy for the company to write a boilerplate rejection email and send it off – and their bottom line would not have been impacted in the slightest.However, that’s not the approach Toys “R” Us took. Instead, they went the extra mile. They spent extra time dealing with Mr. McCarthy’s issue, and resolved it in a way that satisfied him – building customer loyalty and providing a positive view on the company. This is the true value of customer service – building an enthusiastic customer base by going above and beyond the call of duty. Mr. McCarthy will likely continue shopping at Toys “R” Us for his grandson for years to come – all because the company decided to honor his expired gift cards. Customers Lose Track Of Gift Cards – Often – This is another important takeaway. It’s very common for consumers to lose track of their gift cards – much more common than it is for them to misplace cash. Obviously, the above scenario is an extreme case – it’s unlikely that you’ll find a gift card that may have been expired for more than 20 years – but it goes to show the value of having a system in place to issue new gift cards if a valid, non-expired gift card is lost.Modern, online gift card registration can help with this – by allowing your customers to register their gift cards online, or be issued a new gift card with proof of a valid gift card certificate, you can ensure that they will always be able to access their gift card balance, and increase customer satisfaction. Making Headlines Is Worth $40 – Re-issuing $40 in credit to Peter McCarthy was less than a drop in the bucket for Toys “R” Us – they’re a gigantic, multinational conglomerate. And when you consider the impact that this $40 had – not only creating a loyal customer in Mr. McCarthy, but spreading the word about the event far and wide throughout newspapers, magazines (and even our blog), this money had a far-reaching impact that was worth much more than the cost of replacement gift card credit.And it’s entirely possible for your company to take advantage of this sort of publicity – in exceptional cases, it’s a good idea to consider if you could reap PR benefits from helping out a customer, and weigh those advantages against the cost of redeeming an old gift card. You may find that helping out that customer will be a massive advertising coup for your company, and allow word of your services and products to spread. So, Mr. McCarthy’s story isn’t just heartwarming – it’s a great example of how to build customer loyalty, help customers when they lose gift cards, and even take advantage of the public interest to build the brand of your company. Nope, that’s not a typo – in Texas, 67 Applebee’s locations are accepting every single brand of gift card for up to 50% off of their meals. The only restriction is that these cards cannot be used on alcohol, or combined with other Applebee’s special offers. Restaurants in Houston, Austin, and Dallas are participating in this promotion all throughout the month of March. Gift cards for gas stations, boutiques, toy stores, electronics stores, retailers like Wal-Mart and Best Buy, and even online retailers like Amazon are all accepted – regardless of whether or not they’re expired. This promotion will certainly save customers money. While it’s quite possible to sell unwanted gift cards online, expired gift cards are completely useless – and those in the Texas area who have still clung to their expired gift cards will be rewarded by cheap meals at their local Applebee’s. According to Chris Dharod, the Chief Operating Officer of Apple Texas, this promotion is designed to reinforce the image of Applebee’s as a “great neighbor within the community”. After all, a large number of consumers have gift cards that they don’t use, or that have expired, and 50% of somebody’s business is much better than 0% of their business. This promotion comes at an interesting time for Applebee’s – the rise of fast casual restaurants has certainly impacted their business, and they experienced a 5% drop in sales in 2016. It’s quite clear that this novel promotion is a way for Applebee’s to gain a larger market share, and perhaps reclaim some customers who may have stopped dining at this Americana-themed eatery. So what can we learn from this innovative promotional strategy? Here are two takeaways that can help you use novel gift card strategies in your business. Novel Gift Card Promotions Bring In New Customers – The extraordinary novelty of this Applebee’s is probably its most interesting aspect. After all, some retailers and restaurants refuse to even honor their own gift cards and gift certificates if they’re expired! The fact that these Applebee’s locations are doing something so unheard of is the main driving factor behind the success of this promotion. Novelty should not be underestimated when it comes to driving sales.Certainly, hundreds of people who are just curious about how the promotion will work are likely to show up this March at Texas Applebee’s locations, expired gift cards in-hand. And if they have a great experience, they’re likely to continue eating at Applebee’s – even if they weren’t loyal customers before. Crazy Promotions Aren’t Always Bad – But They’re Not Always Good, Either – This Applebee’s promotion is a great example of smart promoting. 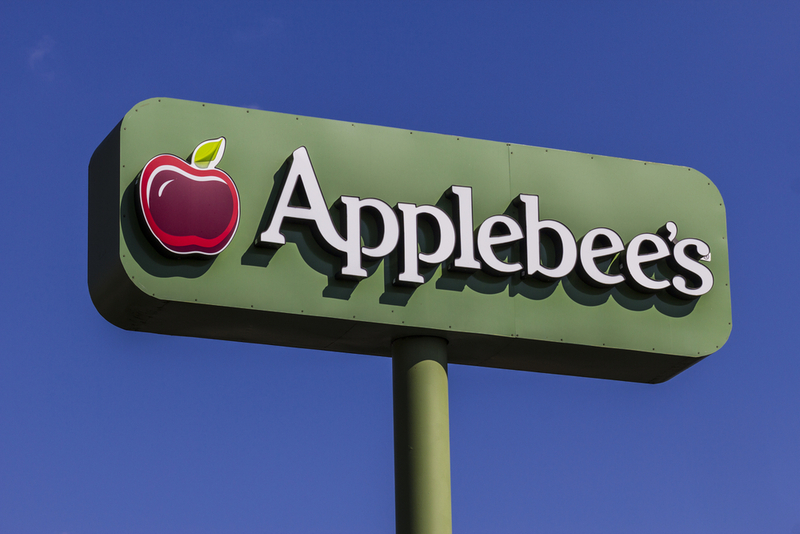 It’s crazy enough to work – but restrained enough that Applebee’s isn’t losing money. After all, they’re only accepting cards for up to 50% discounts on their dishes. While this likely has a negative effect on their profits, the foot traffic and PR interest that their promotion has generated will certainly make up for any losses incurred on their part.This is important to bear in mind when crafting a gift card promotion – doing something out of the ordinary can be a great way to drum up business, but you have to make sure that your promotion is fiscally viable. For example, offering 50% off a 3-month gym membership when a new customer gives you a gift card from a competitor would be a great way to drive membership and gain customer. However, offering 3 months of free membership with any gift card would be a sure-fire way to drive your business into the ground. Brainstorm crazy promotions as much as you want – but make sure that they’re financially viable. Otherwise, you can put your business at risk. Got Gift Card You Don’t Want? Sell Them At EJ Gift Cards Today! If you have a gift card you don’t want, but aren’t able to make it down to Texas to go to an Applebee’s, never fear! EJ Gift Cards is here! EJ Gift Cards is the best online gift card buying service out there, and we accept hundreds of gift cards. We pay out immediately through PayPal to give you the simplest gift card selling experience, and we offer competitive rates on each and every gift card that we accept. Simply follow our step-by-step selling process – enter your card details, get a (reversible) offer, add your payment details, and sell! It’s just that easy, and the entire value of your card will be transferred to your PayPal account in few days after we’ve confirmed the validity of your gift card. If you ever have any questions about the gift card selling process, your account, or our policies, you can contact our customer support team – we’d be happy to help guide you through any issues you have, and hear your feedback and concerns. So don’t let your old gift cards gather dust – turn them into cash today with EJ Gift Cards.